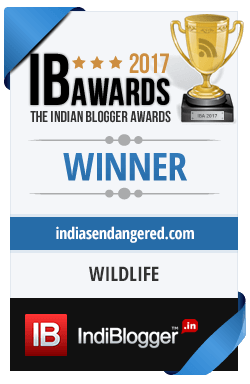 This is a guest post by Ajay Gadikar an IT entrepreneur from Indore and an ardent bird watcher and conservationist. Yashwant sagar Lake is situated in Indore district of Madhya Pradesh. The total area of the reservoir is 14,000 hectares. Made by the construction of a dam on the Gambhir River, the reservoir is situated at a distance of 30 km from Indore. It’s a freshwater reservoir with open fields on almost all its sides. The main cultivation in the area surrounding to it is that of wheat, soyabean, corn, pulses and vegetables. The aquatic vegetation comprises mostly of water lily, lotus and reeds. The lake backwaters has plenty of shallow areas, good for waders and other waterfowl. As the water level recedes, many islands serve as roosting sites for waterfowl. Due to its vast shallow reed beds, the wetland is a heaven to a large number of migratory birds in winter. The Sarus crane (Grus antigone) is found around the lake all through the year. In fact maximum population of Sarus cranes in Malwa region is found at Yeshwant sagar. Mr. K.S. 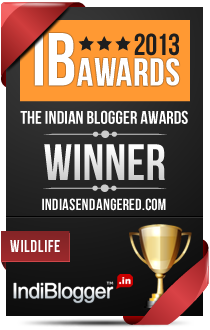 Gopi Sunder reported more than 180 Sarus cranes here in 1998. In summers, large congregations of Sarus Crane, with numbers exceeding 40 are seen in its backwaters. The flock contains many sub adult birds as well. The gathering peaks just before the onset of monsoons when the breeding season of the crane begins. Their social gathering can be seen when one travels some distance inside the catchment areas of the dam, which gets dry in summer and access to that places is possible. The birds starts building nests during peak rainy season in the end weeks of July till the end of October. Sarus prefer to build nests on higher platforms inside the wetlands. After a very interesting courtship behaviour that looks like an aerial ballet, the female generally lay two eggs. Both male and female guard the eggs from predators like stray dogs, raptors, cats, jackals, snakes etc. Every year 3-4 Sarus crane pairs lay eggs around the periphery of the Yeshwant Sagar lake. The local fisherman reported 2 live nests during last season. There is no direct threat to Sarus Cranes in the lake, however, fishing in the lake cause disturbance to its habitat and is a potential threat to it. Currently the population is around 40-60 birds in the whole area. Sarus cranes numbers keep on decreasing year after year due to urbanization, pollution, agricultural activities, use of insecticides & pesticides, Sarus crane population & its habitat keeps on shrinking drastically. During winters as per locals migratory birds poaching increases in the area. Yeshwant Sagar lake being a Sarus Crane congregation and nesting site needs to be conserved. Currently my NGO members and me are focussing on protecting nesting and breeding sites of Sarus cranes in the area by providing guidance and general awareness to farmers. We have also contacted local residents and children to make them aware of the presence of the cranes in the area and tell them that the crane is a Vulnerable species as per the IUCN Red List. Asad R. Rahmani, the former Director of the Bombay Natural History Society visited the area and provided guidance regarding the conservation of the care here. All images courtesy Ajay Gadikar. Images may be subjected to copyright.